Many thanks to Geolino Magazin for giving this story space in two consecutive editions of the magazine! It was great to meet Eric in Kampala and follow his journey as a dancer. Eric has been dancing since he is 6 years old and is one of the best dancers at Sosolya Dance Academy in Kampala, the capital of Uganda. 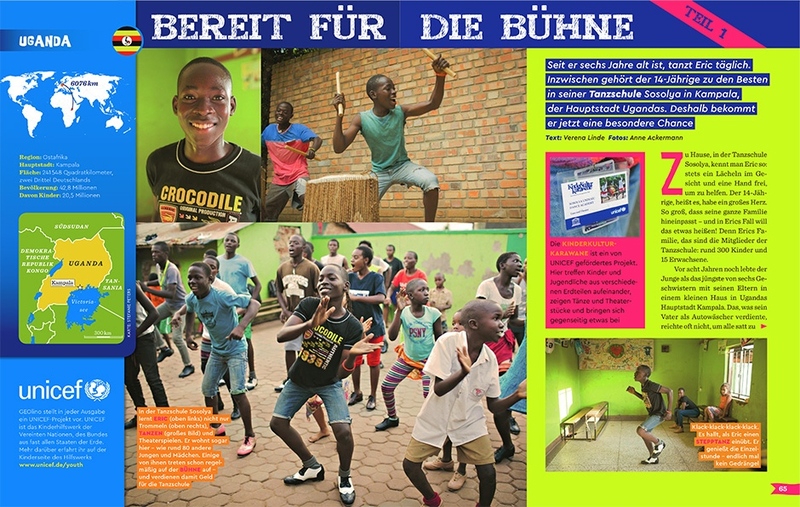 Story out now in GEOlino Magazine Germany (supported by UNICEF). Click on my section of Children's’ magazines publications to see it.